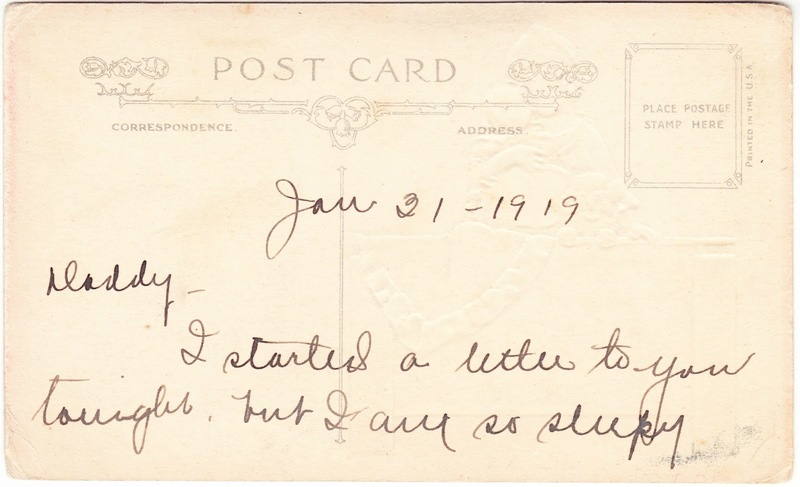 "Daddy — I started a letter to you tonight, but I am so sleepy" states the sweet message on this Valentine's Day postcard that's dated January 31, 1919. And that's it. No other information, identifying or otherwise, on this 99-year-old piece of ephemera. The postcard was printed in the U.S.A., but no publisher is listed. There don't appear to be any other copies of this card online, at least per Google's search. 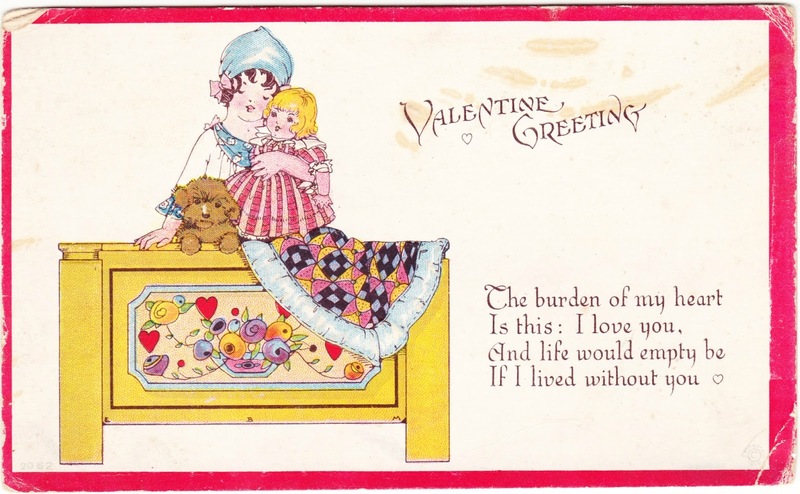 To see more than a dozen previous Papergreat Valentine's Day posts, including some that might be a tad on the creepy side, click on the Valentines tab at the bottom of this post.